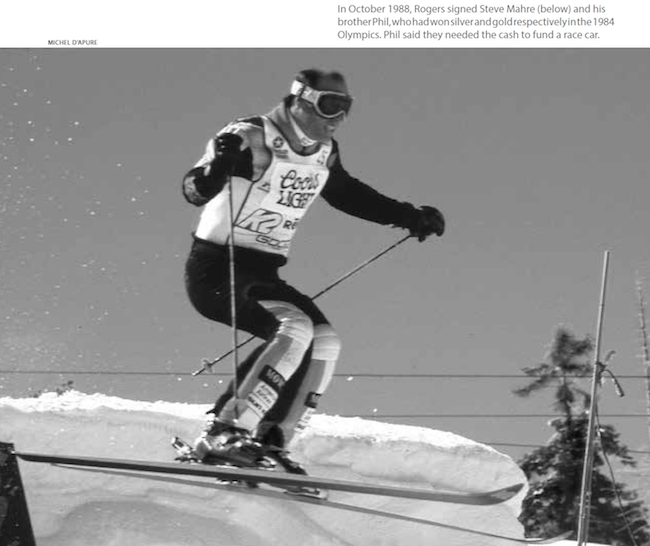 From the 1960s through the 1990s, a series of U.S. entrepreneurs—including Friedl Pfeifer, Bob Beattie and Ed Rogers—took turns trying to make pro ski racing a success. Counting only prize money, this season’s highest-ranked alpine ski racer—Tina Maze of Slovenia, with 11 World Cup wins and 24 podium finishes—earned 701,797 Swiss francs, or about $726,000. 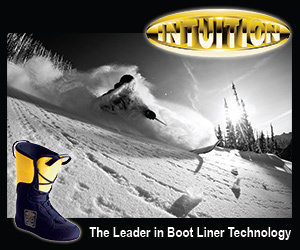 That tops the prize earnings of friend and rival Lindsey Vonn of the United States, who pulled in about $220,000. The number-one male skier was Marcel Hirscher of Austria, who won $554,286. 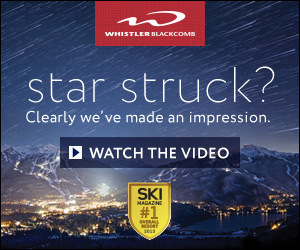 In the 2012–2013 season—the 21st winter since the Federation Internationale de Ski (FIS) first began to allow cash purses—more than $8 million in prize money was distributed on the World Cup alpine circuit. This doesn’t include dollars that athletes earn from other sources, like product endorsements: According to ESPN, Vonn’s total haul this year was $3 million. Professional ski racers lag behind the superstars of other sports when it comes to annual earnings—Vonn’s annual earnings are about a 20th of what boyfriend Tiger Woods pulls in on the golf course, for example. But their careers can still be relatively lucrative. This is thanks partly to the pro racing movement, which confronted the politics of amateurism in the 1960s and affected competitive racing for all time. Meanwhile, alpine racers found an outspoken proponent in FIS president Marc Hodler, who argued they should be allowed to earn money to cover the high cost of training and racing, which far exceeded the expenses of, say, swimmers or track and field athletes. Sir Arnold Lunn concurred, saying that “fake amateurism” encouraged perjury as athletes swore they were amateurs in order to compete in the Olympics. The long-running battle between Brundage and Hodler heated up when Brundage publicly demanded that racers from the 1968 Grenoble Olympics—including triple gold-medal winner Jean-Claude Killy—return their medals. He also demanded that a slew of racers be barred from the 1972 Games in Sapporo, Japan. In the end, the only racer to be banned was Austria’s great slalom skier, Karl Schranz, the three-time world champion and World Cup overall champ in 1969 and ’70. 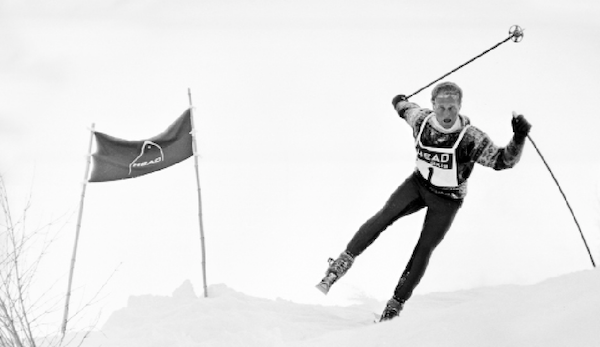 Schranz, who was considered a favorite in the ’72 Games, was excluded on grounds that his consultant status with equipment manufacturers, most notably Kneissl, had tainted his amateur status. His expulsion triggered outrage in Austria (where Brundage was burned in effigy) and around the world. As Fry writes, it was a watershed event in the history of the Games, and one that ultimately “turned out to be the funeral…of the amateur ideal in the Olympics.” Brundage stepped down later that year. The ski world took notice as Pfeifer organized a cadre of the most famous names in skiing: Minnie Dole, Sigi Engl and Willy Schaeffler in administration; Howard Head as the initial sponsor; and racers such as Toni Spiess, Anderl Molterer, Stein Eriksen, Pepi Gramshammer and Othmar Schneider. The initial races were held at Buttermilk in 1960. The 1970s started well for Beattie’s tour, featuring high-profile U.S. racers like Billy Kidd, Tyler Palmer, Hank Kashiwa, Scott Pyles and a 25-year-old from Aspen with dazzling blond good looks, Vladimir “Spider” Sabich, who had scored 18 World Cup top-ten finishes. Sabich won the first two pro events he entered, taking home a modest $21,189 in prize money. But the charismatic racer, whom some suspect was the inspiration for Robert Redford’s character in the movie Downhill Racer, also had product endorsements that brought his earnings to $100,000. He soon earned the nickname “Mr. Pro.” When Killy joined him at the start of the ’73 tour, pro racing seemed to be the ascendant rocket of the sports world, with product endorsements coming on strong and TV dates filling the season calendar. 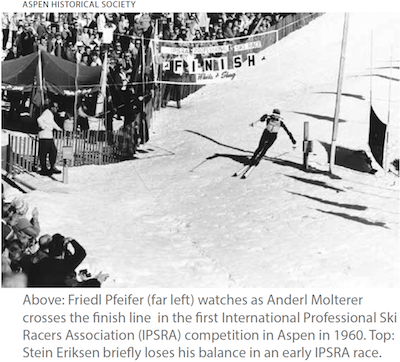 Instead, enthusiasm dampened that year when the tour took an unpredictable turn and two relative unknowns—Austrian racers Hugo Nindl and Harald “The Stork” Stuefer, a gangly athlete who stood six feet, five inches tall—won the opening events. In the end, Killy took the season title, mollifying sponsors and television executives. 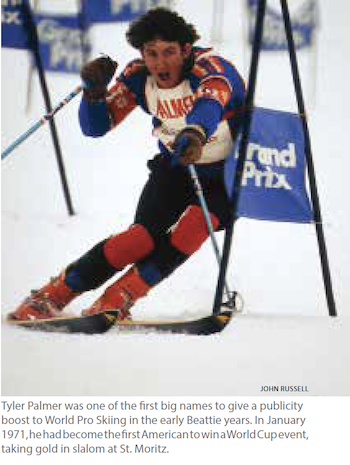 But the potential weakness of pro skiing was becoming clear: Without big names, the buzz soon quieted. to come up with a plan. Meanwhile, the tour’s chief sponsor, the cigarette company Benson & Hedges, pulled out of ski racing. In 1975, the schedule forced a five-week break in mid-season, and the tour seemed to be faltering. The season seemed fairly successful until March, when Sabich was shot to death. His girlfriend, the actress Claudine Longet, was arrested for manslaughter and sentenced to a short term in prison. By the end of the decade, the tour was still suffering from a familiar demon—unknown ski racers—and so Beattie devised a plan to alter the seeding system to guarantee that some top names would at least get through the qualifying rounds. The maneuver helped a bit; the season finished with two veterans, Hans “Hansi” Hinterseer and Lanny Vanatta, taking serious but unsuccessful runs at Austrian Andre Arnold. The following season, with his finances flagging, Beattie’s tour unraveled. Arnold was still dominating early, and the season played out until April, when a handful of racers—including Hinterseer and Boston’s Richie Woodworth—boycotted a race, claiming that a snowstorm had made course conditions variable and unfair. 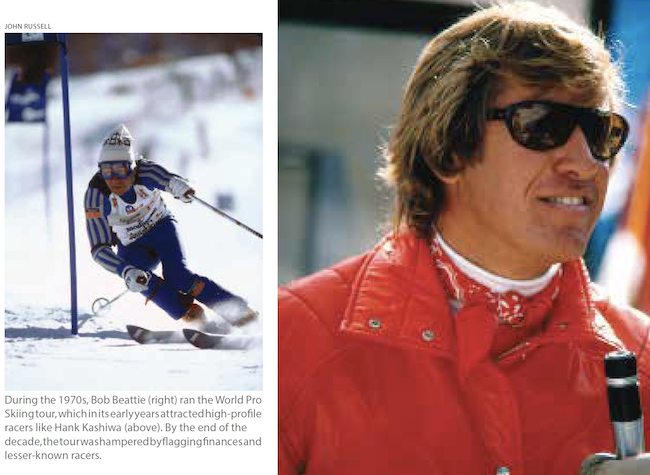 With national TV ready to roll, the boycott was disastrous for Beattie, who disbanded World Pro Skiing a few weeks later. In the mid-1980s, the Viking assault was on, in the form of Norwegian brothers Jarle and Edvin Halsnes and their buddy Reidar Wahl, who won the tour in 1984. Jarle won the title in 1985 and Edvin beat him the next year. 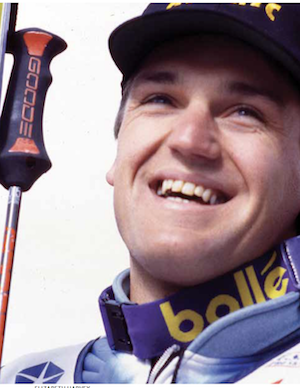 Jarle was back in 1987 before Sweden’s Joakim Wallner broke the brothers’ grip in 1988, the year that Jarle, suffering from a bad back, announced his retirement. In his 1987 win, Jarle pocketed $103,750, finally topping Nindl’s earnings mark that had stood since 1974.
er Games in Sarajevo. Phil explained that they needed the cash to fund a race car, and yet bad-mouthed the pro tour as a group of “has-beens and never-weres, including myself.” Mahre’s opinion aside, the tour that year was stacked with stars, including two Austrian aces—Roland Pfeifer and Bernhard Knauss, who had lost his place on the Austrian national team because of illness. 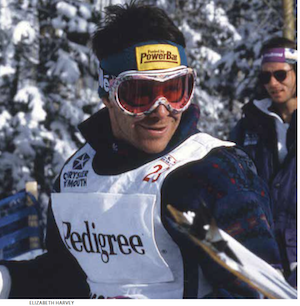 In 1989, Phil Mahre placed second but still pocketed $82,000 for the season. Meanwhile Chrysler-Plymouth liked what they saw and came in as a major sponsor. Mahre, who bad-mouthed the tour as too easy, still worked hard to master the duel-elimination format, ending up 3rd in the 1990 standings. But Knauss was coming on strong. y winning $364,038 and knocking off Andre Arnold’s old record with 46 career wins. The next season he passed the million-dollar mark in career earnings. He would go on to win 76 races by the end of the tour in the late 1990s, with career earnings of about $1.5 million. 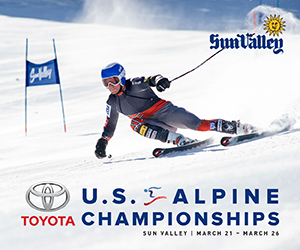 Though there had not been an American winner on the tour since the Mahre years, in 1996 Erik Schlopy from Park City won Rookie of the Year honors with a 6th place finish, as Knauss finally relinquished his dominance to a younger countryman, Sebastian Vitzthum. Then another Austrian, Hans Hofer, won his first title. In 1996, Rogers and his new partner, Bill Flavin, sold the tour to Del Wilber & Associates from McLean, Virginia. Calling it the World Pro Ski Tour, Del Wilber soon had it up for sale again. 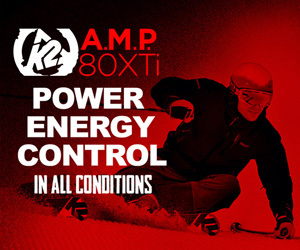 One potential buyer, ESPN, gave it a pass to start the X-Games instead, and another, IMG, also let it go, leaving the field to the Fox Family Channel which, within two years, cancelled all of its sports programming. 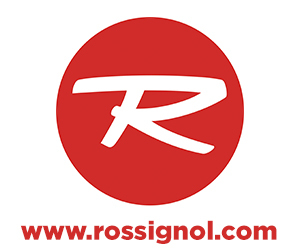 “When Chrysler left, we couldn’t find a replacement,” says Rogers. “Fox couldn’t come up with enough sponsorship either, and that’s what pro sports is all about.” The sad irony, Rogers says, is that pro racing, which had been running continuously in the United States for nearly 40 years, came apart at a high point, with high-profile racers and record prize dollars. Look for an account of the women’s pro tour in the July-August issue, by former U.S. 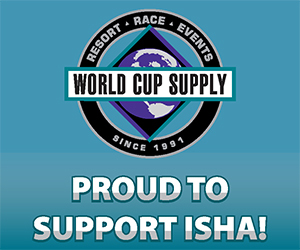 Ski Team and pro racer Lisa Densmore. 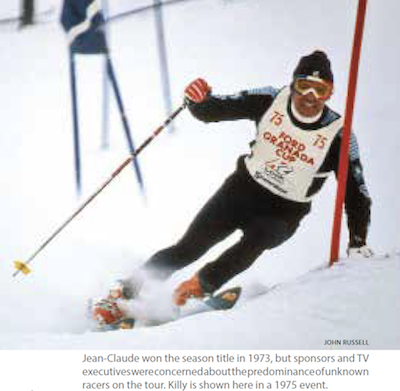 In the September-October issue, we’ll publish a look back at the Bee Hive, a professional giant slalom race that flourished in the early 1960s at the Georgian Peaks ski area in Ontario, Canada.